NASA has selected the Mastcam-Z proposal, led by Jim Bell of Arizona State University, for flight on the Mars 2020 rover mission to be conducted by the Jet Propulsion Laboratory. The Mastcam-Z system will be provided by Malin Space Science Systems, Inc. MSSS will also provide uplink planning services during mission operations. Mastcam-Z is derived from the Mastcam instruments currently operating on the Mars Science Laboratory/Curiosity rover, which has been on Mars since August 2012. Mastcam-Z will have a two-eye 3.6:1 zoom optical system (28mm to 100mm) which will allow stereo imaging over a broad range of fields of view to assist rover navigation and science planning. It will use the same image sensor as the Curiosity Mastcam, but will fill the complete 1600x1200 sensor area. It will also have a similar set of color filters, Bayer-pattern color imaging, video, and image compression modes. "We wanted to take advantage of all the work we did for our MSL Mastcams, while addressing some of their limitations," said Mike Ravine, Advanced Projects Manager at MSSS. "We felt that the most cost-effective improvement was to add a zoom to provide better stereo capability. The zoom will deliver the same optical quality as the fixed-focal-length systems on MSL, while giving the flexibility to trade resolution against coverage and data volume." Ken Edgett of MSSS will also be a Co-Investigator for Mastcam-Z, lending his expertise in Mars science. The Mars 2020 rover is currently scheduled to launch in July-August 2020 and will land on Mars in January-March 2021. The Mastcam-Z investigation was selected by NASA's Science Mission Directorate in an open competition. 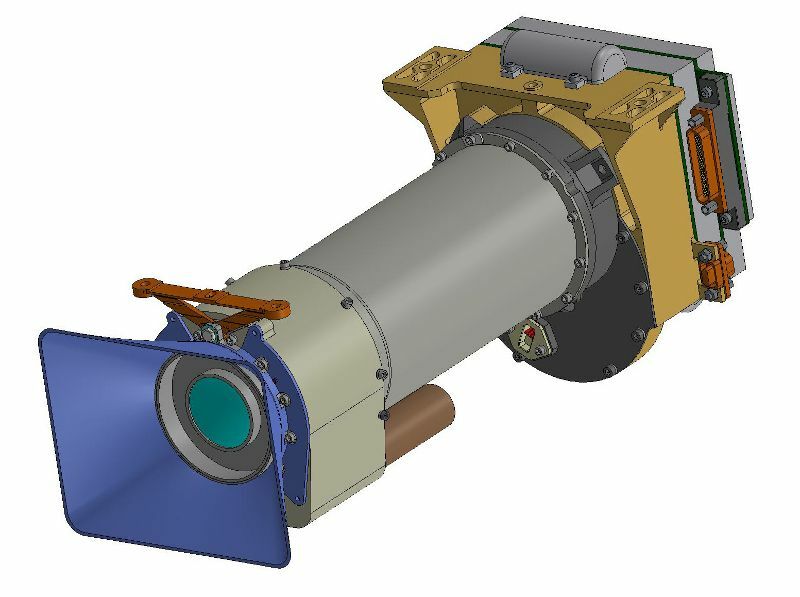 The Mastcam-Z instrument will be developed and operated by Malin Space Science Systems, Inc., of San Diego, CA, under contract to Arizona State University, Tempe, AZ.